Add panche to your game room with Hillsdale Furniture's Palm Springs Game table. Finished in a medium brown cherry, this set combines comfort with casual living and functionality. 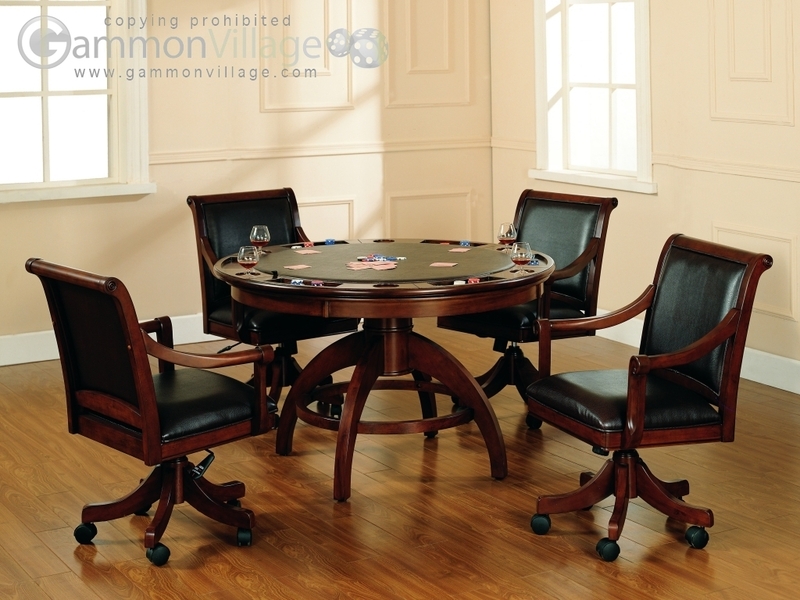 With a transitional half sphere base this multi-function table offers a dining surface on one side, a leather topped game surface on the other, as well as storage, checkers and backgammon game surfaces underneath the top. Composed of solid woods, climate controlled wood composites, and veneers, this table can find a home in your game room, den, or kitchen. Page P2553 Copyright © 1999-2019 GammonVillage Inc., USA. All rights reserved.